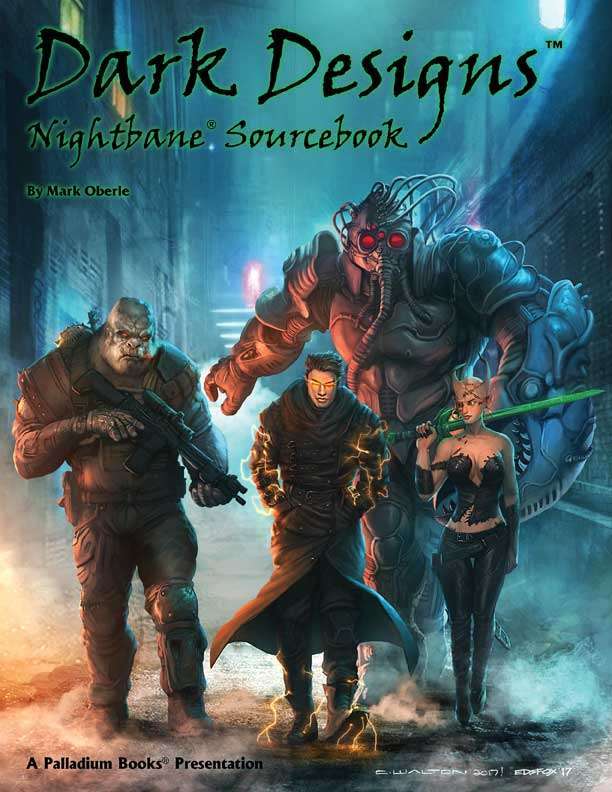 Nightbane® Dark Designs™ is a guide to creating the Nightbane and a sourcebook for players and Game Masters alike. It presents all sorts of new Nightbane creation tables, new Morphus tables, new Talents, and new information. Information and powers that enable players to make memorable Nightbane characters, and G.M.s to take their games to the next level. It also collects Morphus Tables and Talents from the Nightbane® RPG and sourcebooks through Nightbane® Survival Guide, putting them all into one book for your easy reference.